There are affiliate links embedded in this review. This is being disclosed in accordance with regulations. Linking learning together creates for long-term memory and stronger understanding. This is the goal of CrossWired Science. The name comes from the way in which they cross-link all of the learning into what they call Global Topics. This brand-new company has a subscription program that gives you access to their entire site. The site is growing and changing with new additions all the time. At this point, there are two Global Topics up but there are plans for 2 more in the immediate future and multiple others in the more distant future. When the Global Topics are all up, there will be six years of science on the site. The current Global Topics are Sound, and Fluid Dynamics. Fluid Dynamics and Sound are the two Global Topics shown here. What is a Global Topic, you ask? This is a broad science category that has multiple application areas. CrossWired takes a look at as many of those applications as they can for each topic. They do this through targeted videos they have made. They also have a variety of related videos from others (not hot linked on the student pages but copy and paste works simply or you can use a hot link from the teacher’s account), experiments, readings, and drawings. They have cross-wired every related application and use they can think of, it seems. That is where the name comes from – relating everything together and letting the brain wire the knowledge that way. This kind of knowledge transfer is long-lasting and strong. All three of the giggly girls were using the program. We got access about a month ago and have been using it almost daily during our regular school days. As I mentioned the program is brand-new and so materials are still being added daily to enrich and expand the program. Two of the girls chose to use the Fluid Dynamics topic and one chose the Sound topic. They log on to their own individual student account. It has marked what they have completed in their topic so they can choose something different. There is not a set schedule, direction, or plan. This is almost a “rabbit trail” curriculum, meaning the student chooses what looks interesting that day and explores it. The exploration may be through the core videos, which are targeted videos that explain and demonstrate the topic. Each video has its own page and has a link to a printable worksheet to go along with it. After watching the video, there is a quick quiz to test the student’s knowledge based on the video. Once the test has been completed, it cannot be retaken. Each video page has a link on the right for helpful information and directions for the teacher who is looking for more on how best to use the core videos. It might be through related videos. For Fluid Dynamics this included things like space or underwater animals or waves. It could be through a suggested reading plan. There are several of these to choose from, including the YWAM biographies, science books, Creation magazine, or books of the student’s choosing. There is one reading plan linked at this time but the rest of these reading plans should be linked soon. There are experiments. There are a significant number of experiments and hands-on activities for the topic. Each one is a clickable link that takes you to a printable PDF. It includes information on the project and helps the student understand the points structure, which is helpful for the parent grading each project. The PDF also has hot links for videos, materials, or information that will help complete the experiment. There is also an approximate time frame on each one to assist with planning. There is a printable journal for the experiments that includes all of the project pages. Field trip ideas are also suggested. As is well-known, field trips are a great way to really deepen a student’s understanding of a principle. Thus, it is highly recommended that field trips be taken during the study of each Global Topic to really help reinforce the learning. Gold Dig (Fluid Dynamics) or Digging Deeper (Sound) is a section that is set up differently, with a lot more reading, rather than videos, and diagrams. It is still related to the Global Topic but takes the student on a bit more of an in-depth study of one part of it. For Sound, this was a study of human sounds, animal sounds, sonic booms, and more. It ends with a longer quiz and a short essay question. There are two devotionals at the end of each topic. They are a more reading directed study. Both ask the student to think carefully about the devotional at the end of it. One of them on Sound has just a couple of short essay questions. The other has some multiple choice in addition to short essay. This is just the tip of the iceberg, y’all. There is so much here! It is a fabulously interesting program and the site allows for delight-led learning to reign freely. Two of the girls have absolutely loved having the freedom to get on and see what looks interesting to them that day. One child like structure a whole lot more and prefers check lists and specific assignments, so this was not such a good fit for her. However, it is doable both ways. For the child who likes structure, we could easily give her a check list of what to do each day. For example, I told her to spend a minimum of 20 minutes on the site and then told her to pick videos one day. Another day I told her to pick from the experiments. Another day, I told her to do the reading plan (which actually was to go find a science book and read). So, while I didn’t have a pre-set curriculum to follow, it was easy enough to give her the checklist her heart desires with classes. For the other two, I often ended up having to tell them to get off the site and get busy with their other classes! They would spend hours, literally, watching the videos in the topic. This is the type of learning that resonates with them well and ties many ideas together. It is wonderful to see them really digging in. Each of the Global Topics can be gone through multiple times. There is a First Timers curriculum and a Second Timers curriculum. At this point, I have not noticed much difference in the two, as they seem to contain the same videos and links and activities. It is nice though, in that when you go back through it with the Second Timers page, you will be marking off the materials again, so you can see what you have done the second time. It is recommended that this second time through happen a year or two later so that your brain can process it differently, cross-wiring the learning to other knowledge you have gained in between times. A neat feature that we have not used yet is a note taking pop-up box. I can see some great usefulness with this feature. You click the little box down in the bottom right and it pops up a small box to make notes in. It will save those and you can look at all the notes you have taken. There is a teacher’s area where you can do many things, including where you add the student accounts. There is access to view the students’ scores on the quizzes, though you have to look them up individually. These scores can even be looked at question by question if you need to pinpoint what to work on more specifically. There is a link to tips for the teacher to help plan or schedule. There is a calendar link that gives you planning information to schedule the topic, including a high school, middle school, and elementary portion. The calendars as scheduled are downloadable but there are also blank calendars for planning six months or a year. Another link you find in the teacher’s area is to the worksheets. When you click through on these, you have access to the answers for all of the worksheets so you can grade the student work. The next link you have in the teacher area is to the links in the General Links area of the student account. Here, they are hot linked so you can play the videos directly in the teacher’s account. The same is true of the Unit Links, which are linked to be able to play directly from the teacher’s area. Guys! This is a great site. I find it an appealing site, with the freedom to move around and find the things that are interesting. Curiosity is fed through this kind of freedom and with children who really focus on delight-led learning, this is perfect. Within just a short while, this will be a site that can easily work as a full curriculum for the whole family. But it doesn’t have to. It could also work as a supplement to a different core curriculum or even just a site to explore for fun. There are hours and hours and hours of materials here with just the two Global Topics. When they get all of them up (I think they are aiming for something like 30), watch out! There will be endless hours of materials to learn from. Take a minute to visit the CrossWired Science site and read up on their educational ideas, as well as through the information under General Info. The General Info is like the FAQ page and will answer many questions you might have. This is a wonderful resource and I am so glad to have access to it! Use this code when you sign up and receive $5 off – gg17. Be sure to visit the Homeschool Review Crew blog and see what other families thought about this new program presented by CrossWired Science. We are not a huge technology family. We don’t look for the latest things on the market and we don’t go for expensive cell phones. We are not tech-y, you know? When the opportunity was presented to review the Stop Motion Animation Kit, I just didn’t know whether to even try or not. After all, it felt overwhelming to me. But I presented the idea to Miss L and she was excited to get to try Stopmotion Explosion. It is right up her alley! The Stop Motion Animation Kit is a set that gets anyone ready to begin creating stop motion videos. Stop motion is when a video is created by taking any number of still images that show minute changes in position, strings them together quickly, and creates a video out of that. Think a digital flip book. Did you ever have one of those? We had one that had a cartoon of the Road Runner in the corner of it and you flipped fast to make Road Runner run. This is like that only done digitally. a 294 page book full of history, tips, ideas, and instruction. In addition to the kit, access to the internet will be needed if you want to access the step-by-step video tutorials and other materials available on the website or if you need to download the software. There are minimum requirements for the computer operating systems so be sure to check that before purchase. The recommended age printed on the kit is 13+. This would be a great age for independence with the kit, though an 11 or 12 year old could probably use it if they are fairly tech-savvy. Younger than that and adult assistance will be needed, particularly in getting the software set up or in trouble shooting if issues occur. We were able to get started fairly easily with the kit. The Quick Start Guide is enough to help get the software loaded and figure out a few of the troubleshooting things that come up early on (like how to focus the camera or getting an image to show up from the camera – yep, had both of those and found the question right there in the booklet). Once we had the basics figured out, Miss L just wanted to play with it and see what she could do. She had been thinking about ideas since we had asked for the review so she was ready to at least try. We decided it was best to just start with playing around, rather than try to make this a very formal process. So, she opened the software and starting capturing images. She used the bigger book to answer a couple of more detailed questions and we went to the website for some help, also. One of the issues we had was that our software quit. (I have not yet figured out why that happens but it didn’t stop the creative process – just slowed it down.) So, I headed over to the Stopmotion website and guess what? Right there was a video showing how to grab those already captured images and move them into the software once it was running again to pick up right where it had left off. The only thing here was that the video showed a different version of the software than we had, as the import feature looked really different. Not a problem, though. It was enough information that I was able to assist Miss L in getting those images back to the software so she could keep going. She figured out just how wonderful some of the features are, like the onionskin. It allows you to superimpose the previous image over the one you are about to take so you can see how your change looks before capturing the image. This was something she use. A LOT! It allowed her to make those changes as small as she saw them in her head. This is the title of the 294 page book that comes with the kit. It can also be purchased separately. It is full of information, tips, ideas, and helpful things for stop motion video. It is not really designed as a class but could very easily be made into one. The book starts with a short history lesson. It then takes the reader through “actors”, creating stories, making sets, different cameras, lighting, and more. There are some chapter that address specific video sequences such as flying or fighting. It would be very easy to make this into a high school elective credit but creating assignments to go with each chapter. For the one on different actor options, have the student come up with a certain number or to create an armature using the instructions in the book. The student could write a story script in the chapter teaching about that. Backdrops, lighting options, and more – each of these could have several assignments that build on each other and create a good solid film credit for high school electives. This book is so full of hands-on options that it could easily keep the student working creatively for quite a while. This is a great book! While Miss L has not read the book all the way through, it is something she has picked up a few times and read interesting parts of. It gave her some good ideas and spurred her on when she got stuck. We are planning for Miss L to go back through the book and actually read it later on this summer, when we are doing “fun school” stuff and have some extra down time. She has some ideas and would like to work on it. Miss L has created two videos at this point. She figured out that she had to have a stabilizing element for the camera. Using a suggestion from the book, she created a stand for it from blocks. After getting it sturdy, she started capturing and has created two videos at this point. Check out her work so far. I am sure there will be much more use of the kit in the future. End of study projects can take on a whole new meaning. Creating a literature summary or filming a science video – all options have a new possibility now. I can’t wait to see what she and her sisters come up with. There have been some pretty amazing videos created by other students using the Stop Motion Animation Kit from Stopmotion Explosion. 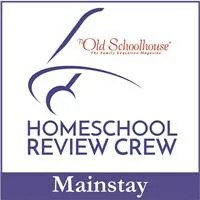 Visit the Homeschool Review Crew blog by clicking the banner below to find other videos to view. Transcripts for high school make so many of us home educators cringe. But they don’t have to! Transcripts Made Easy: The Homeschooler’s Guide to High-School Paperwork is a walk through the transcript options and paperwork requirements, made simple for home educating parents. Janice Campbell from Everyday Education has put together a book that will walk each of us through the nitty gritty of getting it right. In its 4th edition, this updated version of Transcripts Made Easy includes all that we need to know from one who has walked this path before us. A home educator herself, Janice Campbell helps us to see just what it can look like for the end of the high school years. Whether there is college in the student’s future or a great trade job coming, the encouragement, ideas, and information included here help us guide our students to be prepared with the necessary paperwork for stepping out into the world. Transcripts Made Easy came to me in an ebook format. It was easy to download right onto a Kindle so that I could easily read it. There is also a paper format available for purchase. The book has almost 140 pages in it, guiding me through all the different aspects of high school planning, record keeping, grading, and transcripts. It also includes a number of reproducible forms so that you don’t have to recreate all the forms to get started. 1 – Meet The Transcript: This section is about what a transcript is and what the parts of the transcript include. It also guides where to begin in the book since we need different things at different stages. 2 – Plan With The End In Mind: This section packs the punch with immediately applicable information for our family. When I look at the end of the high school journey, where does my student need to be? That is what this sections helps with. From choosing classes to ideas of what to do during high school, from how to schedule courses to which tests to take, this section has the nitty gritty of what I found most intimidating about high school. 3 – Keep Simple Records: Here we are guided in putting together a binder to help contain the samples and schedules and course descriptions. This sections also includes special needs records and transcripts from leading educators Judith Munday and Kathy Kuhl. 4 – Grades, Credit, and the GPA: This sections walks through how to grade, how to award credit, and how to calculate a GPA. There is information here that helps when you are awarding credit for things like dual enrollment or advanced education classes. There is information about weighted GPA vs. regular GPA and how a college might view that. There is a lot here. 5 – Creating The Transcript: Here you will find a look at all the different types of transcripts there are and samples of each one. Whether a transcript is needed tomorrow (hello check-off transcript) or planning ahead while the student is still in elementary is the current basis, there is something here for everyone educating a child. 6 – References, Resources, and Reproducibles: This section has the remainder of the information needed to be prepared. This is where the ebook comes in super handy – just print the blank forms directly from the book. There are some special needs articles included that will show a family how to create the types of records that they need. There are some additional short articles on things student can do to be successful in college. These are helpful articles that I will be having my daughter read in a few years as she prepares to go off to whatever she chooses after high school. I downloaded this onto my Kindle and I found myself reading through the book a couple of times to absorb all that is written here. It was not difficult to read; it just did not stick in my head. The easy-to-read writing style makes it feel like I was sitting with a friend who was sharing her wisdom gained in the struggle and that she didn’t want me to feel the struggle. I appreciated the knowledge shared about planning and scheduling options. I felt much better after reading that section since we are doing a modified schedule for high school this year with two days focused on science and two days focused on history. This really made the schedule feel more manageable and my student to feel like she really had time to dedicate to the learning. While we don’t know what the “after high school” time period will bring, having these resources at my fingertips now will allow us to be prepared to create whatever kind of transcript will be needed for her dreams. I felt like I was doing pretty well with our planning and record keeping. But this book showed me that there were a couple of ways to do this better. One of these is the activity log. Keeping an activity log will allow me to give credit for the activities that my daughter is participating in that don’t truly fit elsewhere. For example, tonight my daughter was scheduled to be the sign interpreter for a little league game. With the activity log form from the book, she can now note her time dedicated to this. When she gets enough, I can give her either an applied sign language credit or volunteer hours or something else entirely that I haven’t thought of yet. Another of the helpful forms was the check-off transcript. We do not have need for this yet but it will allow me to see at-a-glance what is done or being worked on so that the plan can fall into place. I also printed out the class profile pages so that I can keep good track of the classes that Miss E has taken in the last year or year and a half that will go on the transcript. All-in-all, this is an easy to read ebook that will help guide you through the sometimes scary world of high school record keeping, transcript writing, and creating a special diploma. These things are all part of homeschooling high school and it is an exciting time. This book keeps the focus on the exciting parts and not the difficult things. Be sure to visit Everyday Education to find their Transcripts Made Easy: The Homeschooler’s Guide to High-School Paperwork. Or click on the banner below to read more of the Crew reviews on this product. You can also find a review of another product from Everyday Education that I have done: Working It Out, featuring the poetry of George Herbert. – that are well-written, well-researched biographies of important people through history. Each of the heroes has made contributions to history and shown courage through their actions and life lived. Each of the lives is focused on serving God. We received a softback copy of the book Heroes of History- George Washington Carver and a digital copy of the study guide to go with this particular book. The YWAM biographies are easy-to-read books written by Janet and Geoff Benge. They are written for about 4th grade and up, though they are easily used as read alouds with students much younger. The research is evident that has gone into the books, bringing to life the people, places, and events of their lives. We chose George Washington Carver because we knew of this man but not a lot about his background and life. Additionally, it fit well into the period of history we were studying – from before the Civil War and well into the 20th century. These biographies are perfect for adding into studies, as we did with the G.W. Carver book. They enhance and bring to life the era being discussed and they are always about influential people that deserve our attention. We added the Carver biography to our morning time, reading two to three chapters each day. We would discuss the questions from the study guide aloud and once or twice, we pulled out a map to add to the discussion. There were vocabulary words that we included from the study guide, also. Many of these words we touched on as we came across them in the reading. These discussions and vocabulary words allowed us to talk about important topics such as racism, slavery, education, and advancement. We also talked about some difficult topics, again racism and slavery are part of that, but also words like lynching and what burning at the stake meant. It brought to the forefront a discussion about how people can choose to act certain ways and why it was tolerated by so many. If you haven’t caught it yet, this book includes some very deep ideas about how to treat others, values, morals, and how all that should come out in the way people live. There are some difficult scenes that Carver experienced. We did not shy away from them and we talked about how those affected his life. One way I knew that this book was worth the time we were spending on it was when Miss L asked about how long it was going to be before we got to the peanuts. You see, that is what so many people think about with George Washington Carver – peanuts. At this point we were about 3/4 of the way through the book. That allowed us to talk about how history can misrepresent people and their contributions in life. Yes, Carver did amazing things with peanuts. Yet, Carver had many, many contributions that were extremely important that had nothing to do with peanuts. His main goal in life was to help black farmers live better lives and to have better, stronger, healthier farms and families. And he did this in many ways. George Washington Carver wrote hundreds of leaflets that were distributed to the farmers, telling them how to grow different plants, how to use different medicinal plants, how to preserve food, and how to get more out of their lands. Carver lived alongside his students at Tuskegee Institute and taught them as much about how to live an honorable and frugal life as he did about botany during his 50 years there. He strove to present a life beyond reproach. He lived in the midst of the racial issues but chose to address them with understanding and hope, not arguing or trying to force anything. And he made much headway with his approach, garnering worldwide attention and admiration. The softback book is 190 pages long. It covers the story of George Washington Carver’s life from infancy to death. His actual birthdate is unknown since he was born a slave, though to the caring and kind Carver family. He died in his upper 70s in Tuskegee. George was a curious young man, always desiring to know and understand the way things worked. From a young age, he collected plants and studied them. When he was eleven, he left home to get an education, which he couldn’t do where he lived as he was not white. So, he went to find what he desired. He found kind families to help and house him, working throughout to earn his stay and keep. He often started his own laundry business to earn money to pay for his books and rent, especially as he got older and was still seeking education. This pursuit of education continued all of his life, though he ended up with a masters degree and a couple of doctorate degrees conferred upon him. From being refused admission to a university because of the color of his skin to working for more than 50 years at Tuskegee Institute, Carver was a model of a life lived in pursuit of the good things – knowledge, understanding, and living as a Christian. He shared what he knew with others, freely, asking nothing in return except to try to live a good life and help others when they could. His work as a botanist brought him to understand that life had to change for farmers, so he taught them to change. He worked hard to find ways to make new products, such as the peanut, sweet potato, and cowpea, attractive and helpful. With hundreds of ideas of new product options and how it would benefit them, Carver brought about change for the farmers, black and white, in the south. The study guide is a downloaded product, so you must have internet access to download it. After that, it is on the computer and you can access it without internet. There are two parts to the study guide – one is the main part of the study with the activities and ideas, the other is the reproducible worksheets and maps. I accessed the activities and ideas online, choosing to not print any of it, though it would have been easy to do so as it opens in a PDF. I did print the worksheet, maps, and timeline for use. There are 8 parts to the study guide. There is also a list of books and resources, as well as the answers to the chapter questions. As I mentioned earlier, we added the chapter questions in as we read through the book. These included a vocabulary work, a question whose answer comes directly from the text, a comprehension question, and an open-ended question requiring and opinion or interpretation. Most of these came up naturally in the discussion of the chapters as we went along. The answers to these are found at the back of the study guide. The student explorations allow the students to choose an area of interest to them and do a project in that area. It might be an essay or a creative writing assignment, such as a journal entry (GWC was known for writing every day in his journal) or writing a song or writing a newpaper article as might have featured George. The student might create a crossword puzzle or plant a crop or flower garden. Miss J was interested in planting this year and so we chose some flowers from a local nursery and planted a flower bed to grow. As botanicals were something Carver was well-known for, she also chose another activity related to flowers. She created a botanical picture using sculpting, which came from a link we found in the list of books and resources. (This was from one of the teacher lessons by the National Park Service on the artist George Washington Carver.) She painted a piece of cardboard for a background and then sculpted some flowers for the pictures from air dry clay. We also tackled some of the information from the social studies section, working on the maps related to where Carver lived and worked, as well as maps of the state of Alabama. There was a timeline included to mark important events on, such as the civil war, the Great Depression, the Emancipation Proclamation, and many other events and people, such as WEB de Bois and Booker T Washington. These help us key into other events that are around the same time and built that transferable knowledge that helps make history come to life. And on our shelves – well, we have probably 10 or 12 others. These are wonderful stories that are gripping and interesting and encouraging to live lives full of courage and hope and purpose. Click on the banner below to visit the Homeschool Review Crew and read about how other families used these books and study guides. There are stories on well-known, current people like Heroes of History- Ben Carson and others from that past that I would enjoy reading that go along with the vacation we took last fall, like Heroes of History- Benjamin Franklin and Heroes of History- Thomas Edison. Click below to find more to read! My middle daughter really enjoys poetry. Finding her often reading or writing poetry, this review seemed a natural extension of her interest. Memoria Press has sent us the study set for Poetry Book Three: The Romantic to the Victorian Age Set. Miss L has been working with this set, which included the poetry anthology, the Student Book, and the Teacher’s Guide. In addition, we have needed a notebook for which we are using a simple composition notebook. Each of these pieces are indeed necessary for the study as designed by David M. Wright. The poetry anthology is The British Tradition: Book Three – The Romantic to the Victorian Age (1785-1901 A.D.). It is a comfortable softback book that is about 9×7 inches. It is broken up into two sections – the Romantic Era and the Victorian Era. Each section begins with an introduction to the era and its poets. The Romantic Era covers eight poets, including Robert Burns, John Keats, Thomas Grey, William Wordsworth to name a few. Many of the poems are well recognized, such as Rime of the Ancient Mariner and Ode on a Grecian Urn. The Victorian Era includes poets such as Elizabeth Barrett Browning, Robert Browning, Robert Louis Stevenson, Rudyard Kipling, and Emily Bronte. The poetry includes well known selections such The Charge of the Light Brigade, Sonnet 43 (by Elizabeth Barrett Browning), and The Land of Counterpane. The anthology is solely a book of poetry, plus the introductions. It is beautiful with black and white illustrations on almost every page. This book alone would be a lovely poetry book to add to any collection. The anthology works in conjunction with the student book Poetry Book Three: The Romantic to the Victorian Age Student Guide, Second Edition. This book is not consumable and guides the student through each poem with questions, discussions, vocabulary, and background information. The poems mostly follow the same pattern of four stages – Pre-Grammar/Preparation, Grammar/Presentation, Logic/Dialectic, and Rhetoric/Expression. In the Pre-Grammar/Preparation stage, one or two questions are given draw out prior knowledge and help them understand the poem. The Grammar/Presentation stage presents Reading Notes and Words to be Defined. The Reading Notes generally has words that are a bit different that our common usage or facts and background that will help the student understand the poem. The Words to be Defined section is just that – words and their definitions. There are also Comprehension Questions in this section that include things like rhyme scheme, meter, the use of imagery, and other ideas. The Logic/Dialectic stage Socratic Discussion Questions to force the student to dig deep into their abilities to think and reason, struggling with abstract thoughts. The Rhetoric/Expression stage has the student summarizing the poem and focusing on the Central One Idea. Not every stage was included in every poem. Especially with some of the shorter poems, the Logic and Rhetoric stages were not included. Lastly in the Student Book, at the back, you will find a master list of the Words to be Defined, information on how to memorize a poem, and a rhetoric essay template. The Student Book works hand in hand with the Teacher’s Guide. The Teacher’s Guide has the same questions and information as the Student Book. Each page has an exact copy of the Student Book with a border of the answers to each of the questions or discussion points. The back of the book also includes reproducible tests for each poet along with an answer key. The Teacher’s Guide is very handy and I would not recommend trying this program without it. We have been using the program every day. Each day, Miss L works on one or two parts of the Student Book with the current poem. On the first day of a poem, Miss L would work through the Pre-Grammar stage, writing the answers to the guiding questions in her notebook. She would then read through the Reading Notes. Next, she wrote the Words to be Defined in her notebook along with the definitions of each. She then read the poem. On the second day, she would read the poem again and then write the answers to the Comprehension Questions in her notebook. She almost always needed some help here because there is no instruction in the book for meter or rhyme. We had to look up an online resource to help us figure out what the meters are or what the answers in the Teacher’s Guide meant for the meter. The third day, Miss L and I would tackle the Socratic Discussion Questions. She had her Student Book and I had the Teacher’s Guide. We only had one copy of the poem, though, so it kept getting passed back and forth as we discussed ideas and words directly from the poem. The fourth day, Miss L and I would sit together and work on the Rhetoric stage. She would write her summary in her notebook and I would give her the rest of the information. We found the Central One Idea very difficult and unclear. So, I generally just fed her the information and she would copy it down into her notebook. As I stated, not every poem has all of the stages so sometimes, she would only spend two days on a poem. The program is labeled as grade 8+. I have an advanced 7th grader working through the program and she has needed a good bit of help. She loves poetry but this program has challenged her. A lot. I definitely consider this a high school level program. I would like to see more instructional information included. As I stated earlier, we needed to find some additional resources to help us do the basics with the program. I had no idea what “trochaic tetrameter with catalexis, with a few lines in iambic tetrameter” meant. The word scancion was unfamiliar to me but was used in almost every lesson. (It means the rhythm of a line of verse, in case you don’t know either.) The description for the program did not indicate that the poetry series needs to be completed in order; in fact, the descriptions for all of the books in the series are extremely similar. However, these things have me questioning whether that is indeed true, as this is called Book Three. Overall, I think this is a fabulous program when adapted for your student and her needs. We did adapt some of this, not requiring some of the writing and eliminating the Central One Idea by the time the review period had come to a conclusion. I believe we have both learned a lot about formal poetry. We are going to further adapt this as we continue on with it. Miss L has chosen to continue with this program but our modifications will fit her a bit more personally. She will now focus on each poem for two days. The first two days of what I described above will be the study for each poem. We are dropping the Logic and Rhetoric stages for now. Perhaps we will revisit those when she is in 10th or 11th grade. For now, we are going to focus on the poems, their language, and their imagery. Miss L will really enjoy that. We are also looking forward to studying Elizabeth Barrett Browning and Robert Browning, as we will take a trip to the Browning Library here in town during those poet studies. Want even more Memoria Press? You could also read our previous review of First Form Latin from Memoria Press or one on their Traditional Logic program. We have also used their 6th grade Literature Set and their Greek Myths program. Please visit the Homeschool Review Crew to read about other families using products from Memoria Press. In addition to different poetry sets, families have been reviewing phonics and Latin program. Click the banner below to head over to the Crew blog. STEM activities are often preparation and time intensive, which can be a deterrent to doing them. Tied 2 Teaching has created an series of projects and activities that are easily within reach of the average educator (home or otherwise) and as extensive as you want them to be. STEM Activities, Full Year of Challenges with Close Reading is a downloadable product that includes 12 months worth of STEM projects. A couple of pages later you have a simplified version of the challenge. The final page is a letter to parents telling them about the challenge and encouraging them to recreate it at home. So, what are the challenges like? We have done several. Take a look! Love Bug Challenge – To create a love bug of your own design with whatever materials you can find. Two of the girls took on this challenge and loved it. The reading passage had to do with fear of bugs. Then they created their own bugs. They share them in a videos. Design A Balloon Tower – Create a tower using balloons and masking tape. Miss J did this one on her own, though she enlisted the whole family to blow balloons for her. The reading passage had to do with balloon animals. There was even a video or two to view. Design a Building Block Tower – After reading about the Eiffel Tower, they create a tower with blocks. This was a fun one to do at a birthday party working in teams. We actually did this one as a race and all the kids loved it. Here is one of the towers. The other fell down at the last minute. Jelly Bean Tower – Miss J was only allowed to use jelly beans and toothpicks. The reading passage was related to the making of jelly beans. This was a tasty one to have fall down. Sugar Cube Arch – After reading about how much sugar is too much, Miss J used icing and sugar cubes to create a free-standing arch. It was created a couple weeks ago and is still standing strong! Marshmallow Snowman – Create as tall a snowman as you can. We read about marshmallows in the close reading passage. She has several more of these that she has already picked out to do. These projects have been inexpensive. I think we spent two dollars on balloons, a buck on jelly beans, and that is it for these five challenges so far. For most of the others we already have the materials. I love this! I would love to see some challenges created where there was also an additional link to further their learning, maybe after the challenge. For example, with the arch created from sugar cubes – the close reading passage was about too much sugar. I like that connection. After the project, when the students have evaluated what worked and what didn’t on their project, I would love to see it taken a step further. Connect a link to a video about what makes a strong arch or a similar close reading passage about arches. Then have an option for the students to do a trial number two based on the new information. This would be a wonderful option to add to each of these challenges. We did this exact thing – extended the learning by discovering more about arches and tying it into learning about arches we did a while back – and it was a powerful tool. Miss J’s thoughts – I LOVED IT! These were so much fun and I loved doing them. We just read a paragraph and then got to do a project. And the projects were so much fun! I want to just do more and more! So Miss J is recently turned 10 and, in case you can’t tell it, she is a huge fan of these. Tied 2 Teaching has hit the nail on the head for my hands-on, project-loving, energetic, creative-thinking youngest girl. I do believe she has learned a lot from these projects and there are plenty more for her to continue working with. She definitely recommends these! And so do I. Be sure to visit the Homeschool Review Crew to find out about the experiences other families have had using STEM Activities, Full Year of Challenges with Close Reading from Tied 2 Teaching. Click on the banner below. One of the wonderful times in education is when a light bulb goes off, a concept is understood, and things comes to life. Drive Thru History® is a company that does this well; they bring history to life. Utilizing video, history, geography, archaeology, artwork, computer graphics, and in depth research and commentary, the Bible comes to life in their newest DVD release – Drive Thru History® “Acts to Revelation”: The World of the First Christians. Drive Thru History® is not new to the scene. They have been around for a while, bringing us through ancient history, American History, historical Bible lands, and the Gospels. You have likely read a couple of our reviews for some of their other products, including The Gospels and their online curriculum site Drive Thru History Adventures. This is one more product in their line that helps us see and understand history. Acts to Revelation is an 18 part mini-series. Dave Stotts is the on camera personality, and boy does he have one. He keeps things interesting with his quirky sense of humor. His witty commentary combined with the video is fast-paced and intriguing. Through it all, he brings the word of God, the Bible, to life. In this series, he travels throughout the Mediterranean region to show us the places and sites of the Bible, particularly Acts to Revelation. He visits the places where churches spread the Christian faith and influenced history. Using the book of Acts as his road map, David visits places such as Ephesus, Corinth, Berea, Philippi, Jerusalem and finally, Rome. These are the places Paul and his companions visited during his three missionary routes. Traveling the paths of Paul, Barnabas, Silas, Luke, Timothy, and others as they visited churches and encouraged new followers of The Way shows us much about the way these men would have traveled and the people would have lived, including the challenges and dangers they faced. We visit the place where Demetrius the silversmith and his fellow craftsmen took Paul to put him on trial in Ephesus and to Philipi where Paul and his fellow missionaries met and taught Lydia, baptizing her and her family. The episodes take us all the way from Israel and the close of the Gospel accounts of Jesus through to the isle of Patmos and John writing about the seven churches in Revelation. Acts to Revelation uses archaeological sites, historical accounts, and geography to illustrate the Bible and to show the accuracy of God’s Word. These visits along with quotes from primary source documents, such as the Bible and the history written by Josephus, help us understand more about the life and times of the early Christians. We get to walk the way the disciples and early Christians did as the Good News of Jesus spread far and wide. This is a beautiful thing because the more we understand the Bible, the better we know God. The outside of the study guide. The inside cover of the study guide with two of the discs. The third is on the back cover of the guide. The three discs arrived in a nice hard-back booklet style DVD case. There are three separate places for the DVDs, which is nice so they aren’t stacked and getting scratched. This case includes a full-color, glossy paged study guide that contains over 115 pages right in the case. There are six pages for each episode. For each episode there is a beautiful two-page picture related to the episode, a summary of the episode, a “side road” informational paragraph that covers an interesting place or person from the episode, a quote from the Bible, a few questions, and some additional readings from the Bible that will illuminate even further what is shown in the episode. This study guide also includes answers for the questions in each episode. There are many ways Acts to Revelation can be viewed. As a family, we are watching one episode each morning to start our school day and are most of the way finished. We watch the video, use the study guide to ask a few questions, and then read the passages from the Bible that are suggested. This gets us through the series in about a month, as we have a four day school week. It is possible to use this as a personal Bible study, taking notes about personal thoughts related to the episode and then reading the suggested passages. We also have used a portion of one episode for a small group Bible study that included children, knowing the video aspect would really bring alive the study. In that episode, Dave visited a grotto that the ancients believed to be the entrance to the underworld. He tied it in with Paul’s visit and preaching and it was a startling way to really bring into focus on how the people would have viewed Paul’s teachings. This was a great example and did just what was expected – it pulled the children right into God’s word. We were contacted by one of the children’s mother later to get the information on where to order the DVDs because her five year old son had not stopped talking about it. He gained a lot of understanding and he is five! We are thankful to have access to powerful teaching tools such as Drive Thru History® and the series Acts to Revelation. It brings to life places that we are not able to travel to and helps us all relate more to the life and struggles of the first century Christians who believed in spite of all of the dangers and challenges they faced. What an encouragement to us today. Visit the Homeschool Review Crew by clicking on the link below so that you can read more reviews from other families who have been viewing Drive Thru History®‘s Acts to Revelation series for the past few weeks.